This luxury apartment to rent in Venice is in a historic Palazzo, located in the San Polo district of Venice, on the square in front of the church of S. Agostino. It is very convenient for Rialto, famous for its bridge, fish and vegetable market, and also the Basilica of Santa Maria Gloriosa dei Frari and the Chiesa di San Rocco. 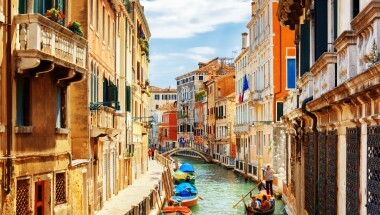 The San Polo district also has the highest concentration of traditional Venetian tavernas, or ‘bacari’ which serve the delicious Venetian ‘tapas’ called ‘cicchetti’, as well as a variety of wines from both the Veneto area and other regions of Italy. The ‘Ruga Rialto’, the main pedestrian street connecting the Rialto area to Campo San Polo is lined with a variety of shops, many still run by Venetian artisans selling locally-made goods ranging from Italian leather, to clothing, to accessories. On the ground floor of the Palazzo, there is a restaurant, and are several popular restaurants and bars in the immediate vicinity. The Palazzo has recently been renovated to create nine luxurious rental apartments, each of which is named after one of the spices which started arriving in Venice from 1200, transforming its cuisine, its economy, its art and its lifestyle. 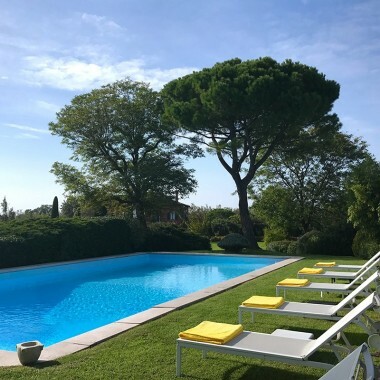 Located on the first floor the Cayenna apartment (50 m2) comprises a living room with open-plan kitchen, a bathroom, and a double bedroom with a private terrace: a charming outdoor space where guests can enjoy a glass of Prosecco or breakfast alfresco. On entering the apartment, with its grand coffered ceilings and tall windows, the initial impression is one of an imposing yet soothing atmosphere. The comfortable living room sofa is in sand coloured linen and faces a 27’ satellite TV. The muted earth tones are offset by dashes of crimson red in the embroidered cushions and Murano glass fixtures. The large windows overlooking the courtyard and offering glimpses of the canal, allows for light which extends into the kitchen. Adjoining the kitchen a sliding door leads to the bathroom and bedroom. The 19 m2 bedroom has a king size bed, and overlooks the greenery of the terrace. Exposed ceiling beams in natural tones bring warmth to the room, as well as the soft, gentle lighting. The modern design and furnishings are enhanced by traditional Venetian features such as the terrazzo marble floors and Murano glass lamps. Further amenities include air conditioning, home automation system, satellite/cable TV, audio system and Wi-Fi internet. A choice of feather or anti-allergic pillows and duvets is offered, and there are hairdryers in the bathrooms. Guests also have access to a dryer, ironing facilities and baby equipment. Living/dining area and open-plan kitchen (equipment includes an oven, microwave, Nespresso machine, kettle, a dishwasher and a washing machine). Double bedroom with king-size bed. Bathroom with shower. 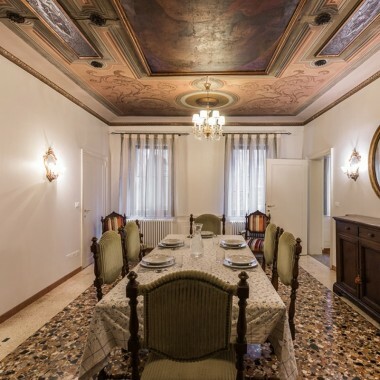 This luxury apartment rental is in a historic Palazzo in the San Polo district, and is very convenient for Rialto, famous for its bridge, fish and vegetable market and the church of San Giacomo di Rialto, as well as the Basilica of Santa Maria Gloriosa dei Frari and the Chiesa di San Rocco. 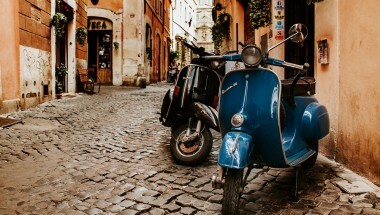 The San Polo district is also characterised by its great choice of traditional Venetian tavernas and restaurants. PLEASE NOTE THAT PRICES VARY ACCORDING TO SEASON AND AVAILABILITY - PLEASE CHECK WITH US. Final cleaning fee of €70 to be added to the balance of payment.